Are Press Releases Going to Hurt My Sites? My Business is Not Newsworthy! What Do I Write? I believe this misconception comes from one of two things. Let’s tackle both of these briefly and then move on. Google has become more adept at recognizing the value of syndicated content as it pertains to news, company profiles, viral content, etc. Gone are the days when you can simply swipe an article, post it to hundreds of sites, index them, and watch the original site plummet. The Big G is a lot more intelligent when it comes to recognizing this type of content and it will not negatively affect you in any way shape or form. Even pertaining to content that is not recognized as any of the aforementioned types, Google does its best to canonicalize the dupe content to its original source, in a worse case scenario situation. I go into greater detail vis a vis anchor text in the following video but the bottom line is you should use only brand /URL anchor text if you are pointing these at your money site. Using keyword rich anchors are a sure fire way to get yourself into trouble when mass producing links. Stay safe. Okay, so this one is a grey area of conversation and another point I cover in the video below. There is some truth to it but I feel like a lot of people exaggerate this scenario. As I mentioned earlier Google recognizes press releases as news and thus awards them with a certain level of temporary authority. Essentially Google reads the title and content of the release and serves some of the more powerful sites for those queries when people perform that specific search. This is expedited and amplified if your syndication service gets you into Google news. We are manipulating Google’s weighted algorithm for news sites to gain fast rankings. This is why when you run a press release you typically see it ranking in search engines. Much to most marketers chagrin, these rankings are usually short lived because of the other part of Google’s algo as it pertains to news sites. It sees this content as important for a period of time, and then like most news, it becomes irrelevant and falls deeper into the serps and in some cases out of the index altogether. There are some cases where you can get your most powerful press releases to stay ranked and that is most obtainable with a sustainable link building strategy. Spam has often times been the go-to solution for this type of task, and if you are experienced with automated linking tools then by all means do what is best for you, but I have found that the amount of fluctuation with a press releases rankings when using spam as a seo foundation is unbearable. One of the biggest complaints with press releases is that people have trouble with the news sites dropping out of Google’s index over time. There are a few parts to this and some solutions we can use to mitigate loss. Before we dig too deep we need to understand that Google views syndicated content in the form of press releases as lacking in long term value, but extremely valuable for a short period of time. Now, this does not mean we need to freak out, it means we need to have reasonable expectations. I have increased the velocity in which we perform PR for clients to 2-4 times per year. Considering the diminishing costs of performing these releases it really is of no concern to me. Gone are the days of spending 150-400 each when for an equal price you can handle the PR marketing for an entire year. I am going to lay out a few ways to assist in the indexing of your press release. We have found one of the easiest ways to accomplish this task is to run the links through your favorite indexer. Simple enough but effective. This usually is not necessary right away but after the initial buzz of the press dies down you should check the indexing situation and address it accordingly. 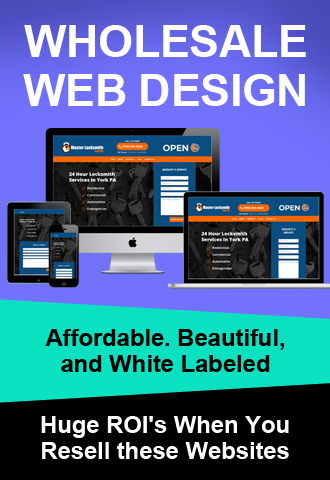 The second tactic is not going to appeal to everyone but a lot of success has been had with software generated links aimed at most powerful sites that your press release has been syndicated to. The tool we have the most data from testing is GSA. This varied from cheap gigs to one of the best GSA people I know, and the results were all pretty decent. We have found that the quality of content does not effect the indexation of the pages in search engines. That can effect whether the wire even pushes you out to syndicate to its news partners, and also if individual news sites moderate the content of their releases and manually removes the unfavorable articles. Most sites are very generous with the content they allow on their websites. There are a few angles we can leverage to get a variety of social proof from the press releases we submit. In the following video and text I want to cover a few. Okay, so you can consider this cheesy, and you are more than entitled to your opinion, but these logos that we see as a cheap gimmick can have a lot of power influencing your prospects. This is always a highly debated topic, but from a consumer psychology angle this is seen as authoritative association and can really help with your positioning. At the end of the day you know your prospects best, and some people insist that their demographic would not be impressed by those type of tactics, but we have found, via real life tests with our brands. that even affluent and intelligent prospects appreciate it. 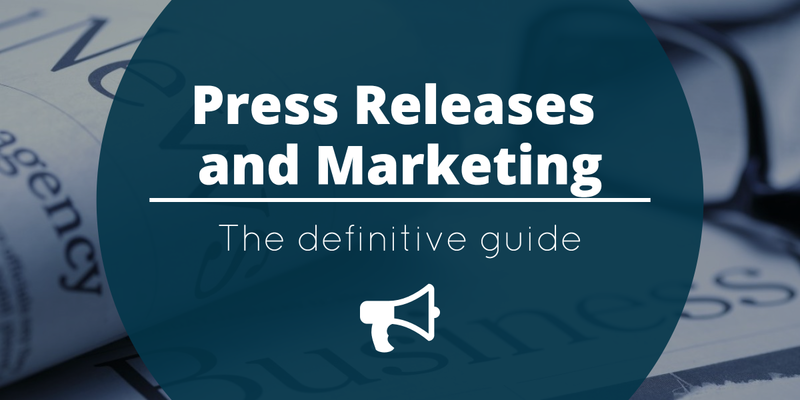 Essentially many marketers use a press release as a quick in to sites that are owned by larger media outlets so they can add those snippets to their websites and marketing materials. If you want to create a Wikipedia page then one of the first qualifiers to achieve this goal is to have some press about the entity for which you are making the page. A press release works great in this scenario. There are of course additional metrics required to get one of these beasts to stick, but having press mentions is an incredible start. Another awesome way to leverage press releases is if you are attempting to get an “in” on an influencer blogs to guest post. Having some type of “buzz” you can provide makes a big difference. Again, keep in mind in most industries, aside from digital marketing, these releases will be great social proof, an ode to your accomplishments that will aid your publishing goals. Lastly, and this is loosely connected to the above blurb, but having press mentions and news coverage can lead to a lot of additional opportunities. Keep in mind press releases carry a certain connotation in our industry, but outside of internet marketing, having a PR done can lead to some open doors. There are situations where after numerous releases it actually caught a local news stations eye and they did a segment on the business for the local news. Wonder how that local awareness affected business, being on television in front of an audience of buyers? Niche interviews are another product of being positioned as someone who is making a difference in their market place. The list could go on. Using a press release to acheive the “as seen on” positioning can have a positive affect on your marketing when working with certain markets. Authoritative association. Use your news mentions to open additional doors for you with guest posting, interviews, and essentially a foot in the door with a real media company. There are two types of reputation management. One is reactive, and it is the most common form of ORM we run into as seo specialists. 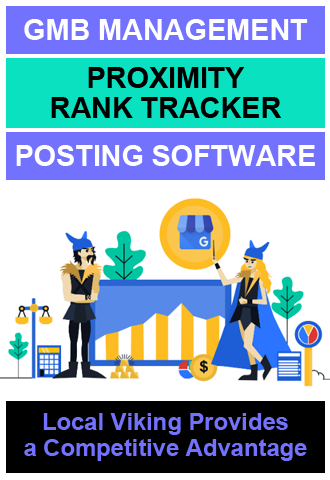 This consists of moving a bunch of sites up in ranking, most commonly referred to as parasites, or in the case of some of the more black hat readers you might focus on moving the one unfavorable listing down. Reactive also encompasses when a company gets a lot of bad reviews or has public relation issues. While press releases can be volatile when used as ranking parasites to push listings down, it can be done with an intelligent linking strategy, but in full transparency, I do not use PR for this specific scenario. An issue with bad reviews or public relations problems is a different story. A strategic press release can most assuredly be one of the foundations for mitigating those issues. The second kind is proactive and that spans all of the things businesses do to ensure their reputation stays in good order. 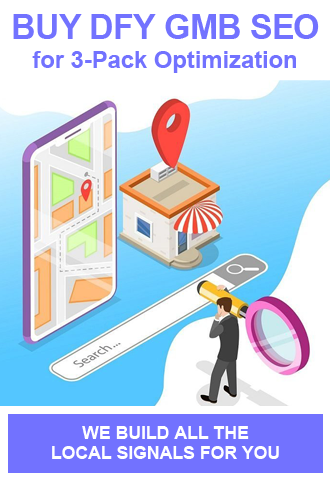 This includes review management programs, follow up with existing customers to create reviews for your business, and of course manipulating as much of the digital real estate pertaining to your brand as possible to position you in a positive light when people search your brand. The first two are not things we can do much about via leveraging press releases, but we can definitely use them to our advantage when it comes to getting content out to the world that paints a positive picture about our brand or our client’s business. There is not anything incredibly complex about the strategy in this particular case. A press release and being mindful to the indexation of your articles should be all you need for the start to a proactive ORM campaign. Press releases are not my favorite method for reactive ORM campaigns. The ranking volatility makes this so. Establishing some initial press around a brand, client, or your own name is a great way to jump start a proactive ORM campaign. This is a two step process where we have to decide the topic of the release and then actually create the content. This can be a tedious and sometimes a painful process for a few reasons that we are going to cover. Firstly, too many people try to make a purely promotional piece of content and then struggle with understanding why the wire never syndicates the content out to news sites. While we might be using these releases for non news purposes, they still need to be positioned. So, from a topical standpoint we need to create some newsworthy content. It does not matter what business you are building a PR for, there are a lot of options to create something “newsworthy”. I will give some killer examples below. The second aspect is actually writing the thing. This seems simple enough once the topic is selected, but the tonality of the release can get it rejected, along with many other factors. I will cover some of them below, but the main point I want to articulate straight away is that it is not a good use of your time to write these yourselves. Finding someone that can write them and consistently get them approved can also prove troublesome. My advice is to use a done for you press release service that provides writing and distribution. This is one of the most massive misconceptions with preparing a release. I am going to give a ton of examples you guys can use as guidance, but before we actually delve into the list let’s cover a few general guidelines to keep in mind. Your press release cannot be a blatant sales thread. Announcing a new product line or service offering is not considered newsworthy. That will get shut down and rejected quickly. On the opposite end of that spectrum a press release setup as an encyclopedic article will not go through the wire. Dedicating too many words to the positive attributes of a product or service can be seen as attempting to convert the PR into an advertorial and is grounds for rejection. It needs to read like it was written by a journalist, like it is a genuine piece of news. This might seem difficult, and it can be, but once you find that news reporter tonality it will be smooth sailing. So, what the heck do I write about? Well, there are hundreds of topics that would get approved. Let’s list some. Anything where you provided value to your community or other professionals in your niche could be newsworthy. This includes anything from donations, to interviews, podcasts, eBooks and resources that help consumers or other professionals, and more. This can be extrapolated to any helpful training you create, events you are planning, and community interaction. use your imagination and you can find plenty of excuses laying around to put together a press release. One of the easiest ways to hack together a press release is by taking a glance at what is going on in your industry. Upward and downward trends make for great news pieces that will actually provide value. Creating a “industry day” for your niche and making some press around it can be fun and also justify a release. When it comes to industry related content remember to consider dispelling some myths or pointing out some misinformation pertaining to your craft. This can make for a solid release. The way we put together releases is using general industry information and then by quoting the business owner making a comment about the niche. We have found this way to be the most reliable for getting releases syndicated, while not having to rely on special;, newsworthy events taking place. If you find the writing of the press releases turning into a bear, which it really can unless you get lucky and find a decent, reliable writer that does not break the bank, then check out LCT’s done for you press release service. >>> Now web20ranker’s service! Picking the topic might seem like the most difficult portion of this two step process but structuring the article so it actually gets approved by the newswires is also tedious. Below I want to give you guys some tips and tricks to get the news piece ready to be approved the first time so you are not going back and forth with a writer time and time again. Diving deeper into the body of the release, one of the most common mistakes people make are writing the content in a non third person style. “I” and “you” will get your PR rejected in a hurry. It needs to lack hype and large claims. Most news sites won’t take the responsibility of posting something that could be BS or unethical. Using questions in the headline and excessively in the body is genuinely a no go for getting a quality release syndicated. Take some extra time before submitting the releases and ensure the spelling is correct and your article lacks grammatical errors. It is best practice to keep the release between 300-800 words and ensure that your content is 100% original. Using duplicate or stolen content to try and expedite distribution just is not accepted on any reputable platform. You don’t want to stuff your press releases with a ton of links. Most platforms allow three, and that’s fine, but I would not stick 3 in a 300 word post. Keep it one per every 200 words or so. The most obvious but valuable piece of advice to get proficient with press release writing is to analyze real news pieces and study the style in which the content was put together. Whether it is interview or breaking news fashion, check out the tonality of the content and emulate some of the most common denominators when writing yours. Brainstorming topics and writing press releases are time consuming and soul devouring. lol. That might seem extreme, but the truth is it is not a good ROE (return on energy) for people to be performing these tasks on their own. Finding a consistent writer and handling your own syndication can be viable but I have found a lot of writers to be a pain point all on their own: mostly for being unreliable and not accountable if the syndication gets denied and because the pricing can be insane.